Your server has been working for years with no hiccups and you could not be happier purchasing your Dell product. Suddenly things take a turn for the worst, and it now operates at a snails pace. What was once a top of the line server is now as slow as your Pentium 3 Desktop that’s stored under your bed. You can barely troubleshoot because of the horrific performance. Sometimes rebooting clears up the problem for a few hours or even days but the problem returns. That’s no way to live; always wondering when your machine is going to betray you and your companies employees. Turning on you, just when you need it most! I have run across this very issue on many many servers. There is a quick simple fix that can be administered to the system. Change the System Profile Settings to Performance Mode. The reason to make this change, is to Disable C State and C1-E features. When these options are enabled the Dell server will throttle the power to the components (CPU, Memory, etc). Ok, so how is this bad? Sometimes the system can get stuck in a low power state and cannot properly adjust when heavy load is applied to the system. This could cause the entire system to halt, slow down to unusable speed, and report CPU IERR errors. You probably don’t pay the electric bill and system reliabiltiy for a corporation is far more important than a few dollars. Let’s change these settings! 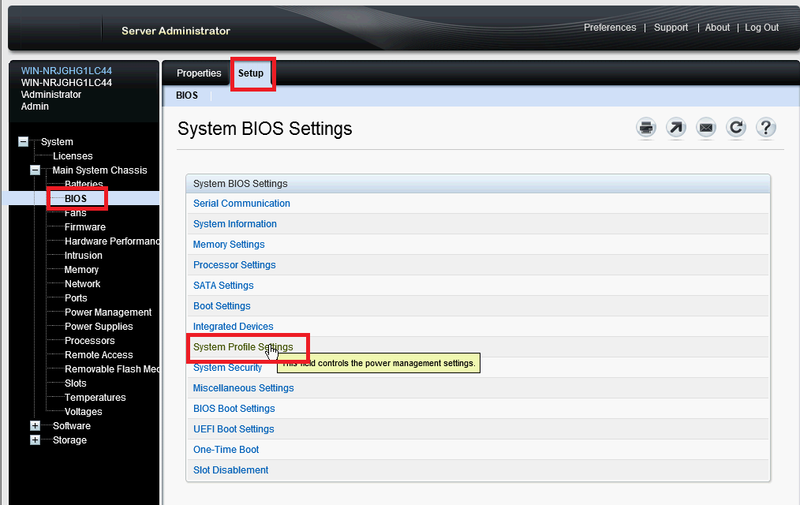 There are two areas to adjust these settings – OMSA and BIOS. 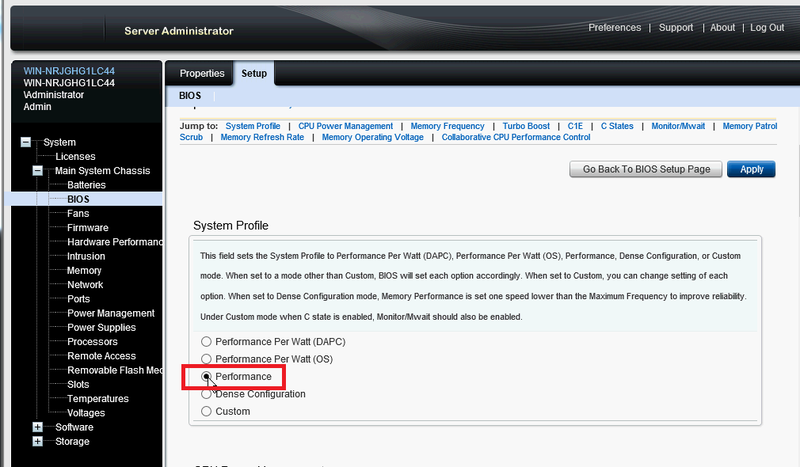 This guide will discuss adjusting these settings in the OpenManage Server Administartor (OMSA). The system will need to be rebooted once this setting has been applied. 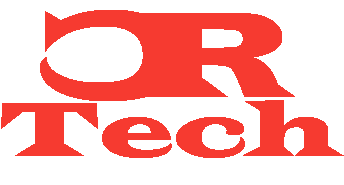 Note: 11G systems do NOT have the System Profile Settings. You can simply disable C State and C1-E modes. If you were experiencing any of the above symptoms I mentioned above, it would be a good idea to update the firmware on the system and possibly run hardware diagnostics when troubleshooting a performance issue.